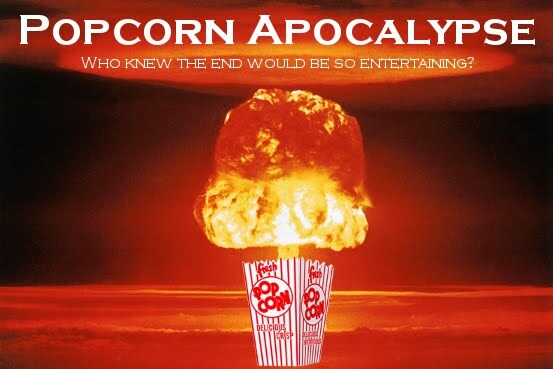 Popcorn Apocalypse, a comedy blog by New York City actor & writer Colin Fisher: And They're Off! 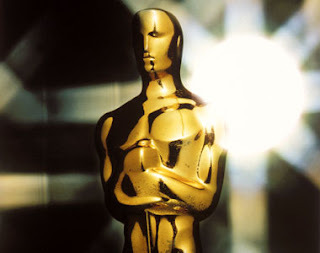 The annual art-as-horserace event known as the Academy Awards fast approacheth, with the nominations being announced today. Much noise seems to have arisen about the absence of The Dark Knight from the Best Picture category, but I can't say I find that to be much of a surprise. Sure, it's a fanboy's dream (I say fanboy with love and self-inclusion), but while we have a black president, I'm not so sure we're ready for a superhero movie in the Best Picture slot. I am disappointed with the lack of both Christopher Nolan and Darren Aronofsky from the Directing category, as well as Springsteen's absence from Best Song category (really Slumdog, two songs? ), but I'm well past the point of giving a damn what the Academy thinks about movies that I enjoy (thank you 73rd Annual Academy Awards; Julia Roberts definitely deserved the award over Ellen Burstyn /sarcasm). And while I loved The Wrestler, if Aronofsky wasn't nominated for The Fountain or Requiem for a Dream, then he shouldn't be nominated for this either. That would be like Scorsese winning for The Departed instead of Raging Bull...oh. I understand that the film industry is largely that, an industry. You don't hear anything about the watercolor industry, or the bronze sculpture industry. That would be absurd. But combining elements of art, business, and March Madness into an event dubbed the "Women's Superbowl" (thanks guys) basically tends to melt my brain stuff. It's sort of like voting for someone because you'd like to go drinking with him...oh. So prepare yourself for an entertainment "journalism" assault consisting of what they wore, what they said, how Brad and Jen avoided each other, and absolutely zero discussion about who should win and why. Because that's clearly not what these awards are about...oh.